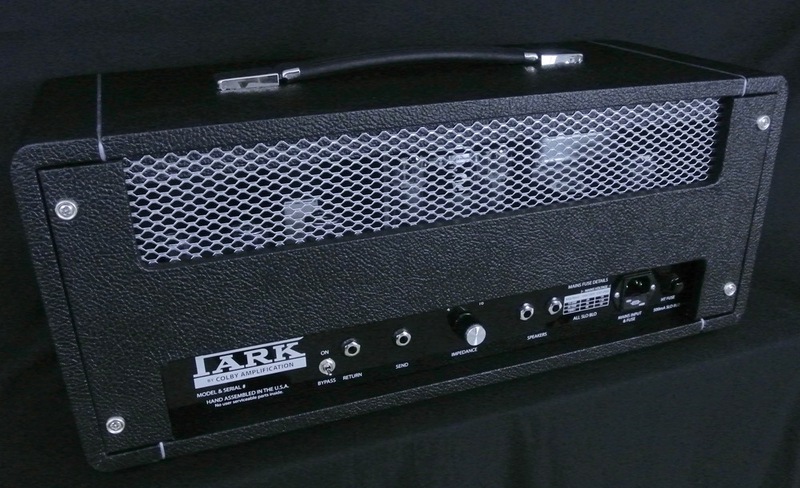 The Park Little Rock 18 is a more aggressive version of the Little Head. The LR combines the preamp of a plexi 50 and the lower-powered, user changeable power amp of the Little Head. If you want plexi tones at reasonable volumes, this is the answer. In addition, there are two push-pull switches that allow you to cascade the channels for more gain (that's in series, one into the other) and a Punch switch that gives you a more aggressive sound. With both switches "In" the amp acts like a typical four input, two channel British style amp. Also available as a 1x12 or 2x12 combo. Please email for more info. No biasing necessary, just plug and play.